Verizon is a global leader delivering innovative communications and technology solutions that improve the way its customers live, work and play. Hurricane Harvey became a Category 4 in less than 48 hours. 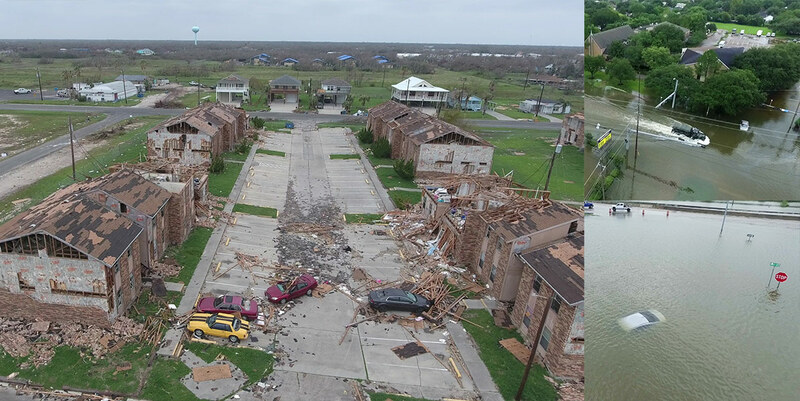 This rapid transformation left little time to prepare a typical communications plan, but magnified an enormous need for constant communication with Houston/Gulf Coast media in order to reach residents quickly. Being nimble on our feet and activating in a moment’s notice, we tailored and pivoted between many news angles and storylines for more than one week. Keeping a pulse on the distinctive priorities of media and residents in the 10 affected counties allowed us to share important news, drive awareness of Verizon’s network strength and highlight its commitment to Houston. Working alongside client partners and Verizon’s ongoing disaster relief efforts, we flexed our local media relationships in Houston and along the 300 miles of Texas Gulf Coast. The team continuously supported editors and reporters, pivoting between more than 10 robust storylines over eight days. From free data promotions to clean water provisions, and Verizon’s commitment to Houston and the gulf coast, we made sure Verizon was front and center throughout all Hurricane Harvey coverage. With nearly 6.5 million residents in the Greater Houston area, our media relations and storytelling efforts secured 82 traditional and social media placements, resulting in 15.3 million impressions overall.